In fact, the past year has been deeply worrisome for all those who are, like us, committed to the principles of liberal democracy, to the European project and to the pursuit of peace in the Middle East. In Europe, the wave of nationalist and populist movements has continued, putting in power extreme right parties in countries such as Italy and Austria, that might have been expected to be immunized against extremist appeals after the Second World War. On most European countries where, fortunately, rules of democracy are still respected, we note an increase in racist and anti-semitic attacks. The poison of antisemitism is not confined to the traditional extremist right: you find it within the British Labour Party, in a so called Spanish “alternative left”, and in France, in circles overtaken by the “indigenist” ideology. In Central Europe, the Visegrad Four (Hungary, Poland, Czech Republic and Slovakia) are more and more moving away from the initial principles and values of the European project, even though they have benefited greatly from the European structural funds since their integration into the European Union in 2004. Furthermore, the leaders of these four countries being less concerned than their European counterparts by the situation of human rights in the occupied Palestinian territories, Prime Minister Benyamin Netanyahu tries very hard to win over their support, even if it means ignoring the antisemitic statements of Viktor Orban against George Soros, the Hungarian-born American Jewish philanthropist, or the brutal Polish Remembrance interventions intended to mask the Polish responsibility for the Shoah. It is true that the Israeli Prime Minister’s amazing international relationships are not limited to these “bad pupils” of the European democracy: Philippine President Rodrigo Duterte’s spectacular visit to Israel has confused all the true friends of the Jewish State. Benyamin Netanyahu is proud of the good relationships he entertains with his American ally. On one hand, meeting the repeated demands of the Israeli Prime Minister, Donald Trump withdrew the United States from the Iran nuclear deal, against the advice of the persons in charge of the American and Israeli security apparatus. On the other hand, he transfered to Jerusalem the American embassy, much to the pleasure of Benyamin Netanyahu: that led the Palestinians to stop recognizing the United States as a legitimate intermediary between them and the Israelis. (We may observe that if Netanyanu expected this transfer to have a snowball effect, no such thing happened.) The Jewish State may have to pay a huge price for these apparent successes of the Israeli right. Donald Trump did not stop there: hoping to compel the Palestinian Authority to accept the “deal of the century” his administration has been announcing for months, he stops funding UNRWA for Palestinians, withdraws the American economic support to the West Bank and Gaza—with the risk of causing renewed violence, given the explosive social situation—, and closes the PLO representation in Washington. However, Americans won’t be able, by humiliating Palestinians, to convince them to accept a plan that, according to Palestinian negotiator Saeb Erakat, will grant them a State including Gaza and only a few parts of the West Bank, without East Jerusalem; moreover, the Israelis will keep their settlements. Twenty-five years after the Oslo Agreements, such a step backwards is a real tragedy. Today, the flame of peace flickers, and the foundations of democracy are threatened as well. The “Nation-State” Basic Law calls into question the balance the Founding Fathers of Israel took care to establish between the two components of its identity: Jewish AND Democratic State. Beyond legal tricks, the values of ethics, solidarity and justice that forged Israel are at stake; values inextricably linked to the values that have been the cornerstone of judaism for centuries, and are the basis of our identity. Within JCall, we won’t give up any of the hopes that unite us. : the strenghtening of liberal democracy in the world and in Israel, the European project, peace between Israelis and Palestinians. We will keep fighting antisemitism wherever it occurs, regardless of the pretexts put forward and of the persons who support it. We will ensure that the humanist values inherited and upheld by the Jewish people are respected. We won’t give up the dialogue with bona fide men and women, of all origins and affiliations, who like us, seek peace and democracy, in mutual respect. More than ever, we will stand by the Israelis who, beyond the traditional divisions, work in order to preserve the values in the name of which David Ben Gurion declared in 1948 the establishment of this Jewish and democratic State. In 5779, thanks to your support, we will pursue our action in order to make the voice of reason heard. 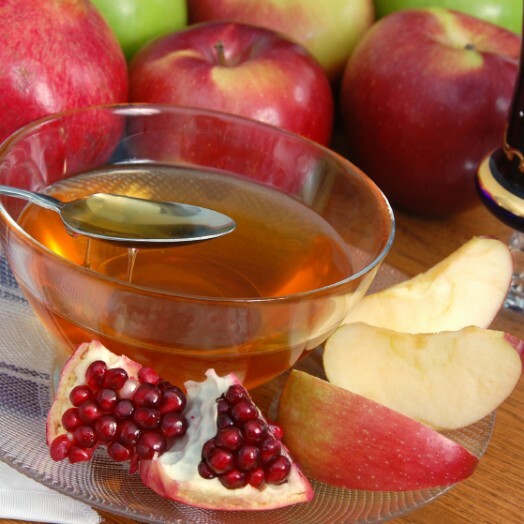 We wish Shana Tova to all of you. May 5779 fulfill all your wishes, and may it become—at last—the year of peace.